Heat griddle or skillet; grease if necessary. In medium bowl, stir Bisquick mix, milk, sugar, eggs and 1 container yogurt until blended (batter will be thick). Pour batter by slightly less than 1/4 cupfuls onto hot griddle. Spread batter slightly. Cook until edges are dry. Turn; cook until golden brown. Serve topped with fruit and additional yogurt. Leftover pancakes? 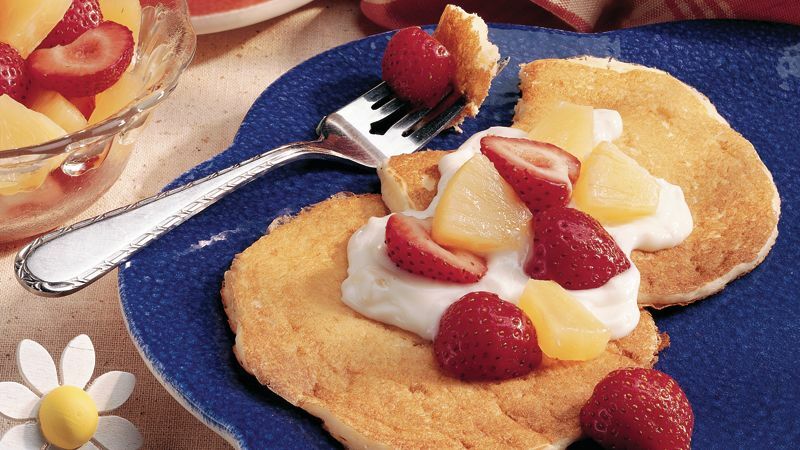 Roll cooled pancakes around fruit and yogurt for a cool treat.